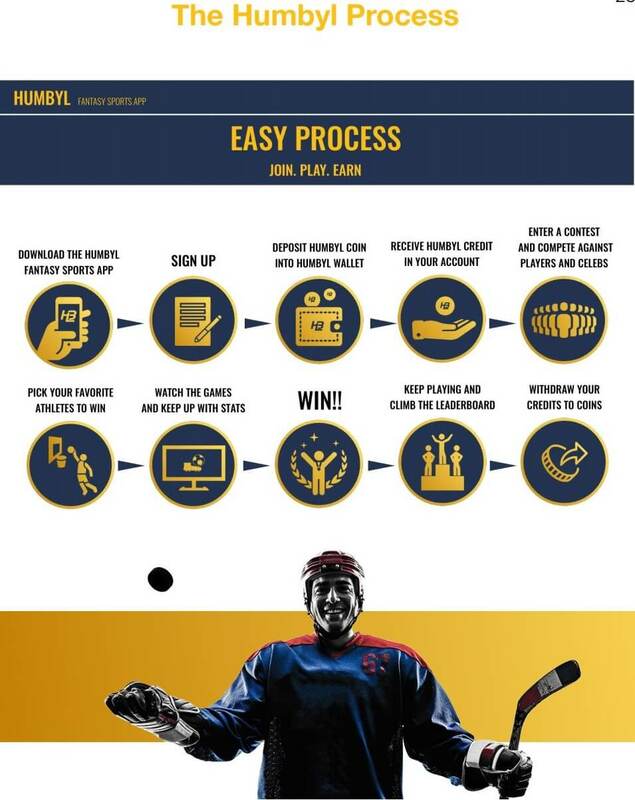 Humbyl is a revolutionary Fantasy Sports platform that utilizes its own Ethereum-based cryptocurrency (trading name HBL) in order to allow users to operate globally and anonymously when participating in various game prediction services. Furthermore, early adopters of the coin will also have some say in the development and direction of the company. Currently, the HBL coin is trading in ICO while the Fantasy Sports platform is in development with an expected release date in Q4 of 2018. Features that are in-development or planned will be discussed within this document, along with an overview of the company, description of the workings of the HBL coin, and our project roadmap and marketing decisions. The Humbyl team has several important goals with the Humbyl platform. Creating a platform that is easy-to-use, unique, and safe. Humbyl aims to have at least 300,000 users within twelve months of launch. Building and contributing to an emerging online gaming community, bringing celebrity connections closer to their fans with collaborative events and campaigns. Maintaining and utilizing the HBL coin, raising its value and building trust for those who purchase the coin separately. Humbyl is dedicated to crypto enthusiasts and will provide them a secure platform to utilize their HBL coin. Currently the Humbyl Coin, HBL, is a utility token price point started at $0.05 during its Private Presale and they began their ICO on May 21st, 2018 and ends on August 31st, 2018. The minimum purchase is currently set to 1ETH and may be subject to change depending on market fluctuations. 400 Million HBL is set to be sold to the public, with the remainder going to private investors, partners, and the Humbyl team. Interested parties should log on to Humbyl.io in order to obtain the HBL token now, as the price is expect to rise as Humbyl rapidly grows. Humbyl Inc. is a global, creative and decentralized organization offering a Ethereum-based cryptocurrency, HBL, and an international fantasy sports mobile and web application with an emphasis on security and anonymity. Our definition of fantasy sports includes all games or competitions in which participants accumulate virtual credits based on the actual performance of professional sports teams and individual athletes. The Humbyl Fantasy Sports platform (Humbyl Platform) allows holders of HBL to explore new and exciting games in which they can predict a winner from selected categories. For example, Humbyl will host contests in which users predict which ProBasketball player will score the most points on any given game day, which Pro-Baseball team will hit the most homeruns, and more. In these contests, users that guess the player or team correctly will win the pot from that category of that day. By utilizing the Humbyl coin, HBL, selected holders will also be able to compete with professional athletes partnered with Humbyl. Our professional athlete partners will be able to utilize Humbyl’s Fantasy Sports mobile application only in sports categories that they do not actively compete in professionally. For example, an NBA player can only participate in all sports that are not NBA related. Selected Humbyl Token holders will be notified by a Humbyl team member that they will be competing against a professional athlete (1) one week before the contest starts. If the Token holders are able to beat the professional athlete, they then move on to the following week until they lose with no strings attached. Humbyl Fantasy Sports mobile application players will also be able to compete with other players on the platform. The Fantasy Sports mobile application will have daily contests that are similar to what the Professional Athletes will be able to participate in. The winners of each contest will split the specified winning pot for each contest on a daily basis. This Fantasy Sports mobile application will only take credits from Humbyl Token purchases and fees do apply. Revenue will be generated from the Fantasy Sports mobile application’s targeted advertising channels similar to the ones employed by mainstream social media, such as Facebook, Twitter, Snapchat and Instagram. 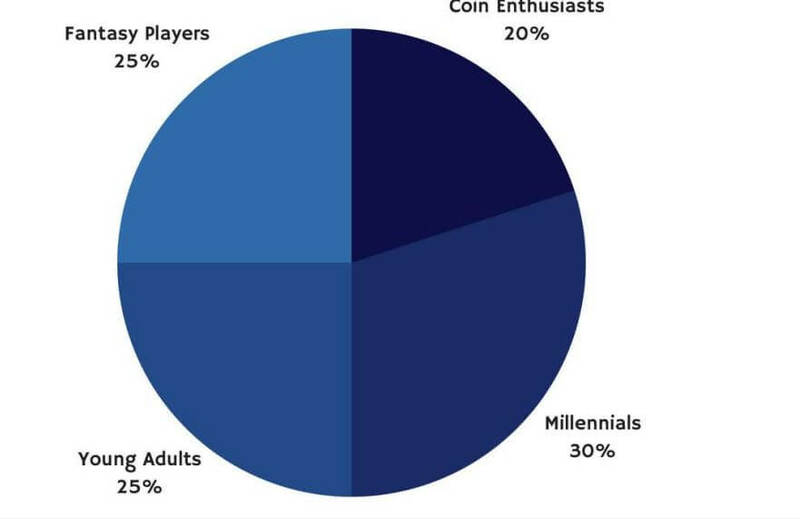 Humbyl will employ social media integration to bring a social flair to the cryptocurrency, Fantasy Sports players, and blockchain technology. Become the #1 website and mobile app for Fantasy Sports/Crypto Token users, overtaking similar competition within three years. Become the largest website and mobile app for Fantasy Sports players with more than a hundred partnered celebrities and athletes within three years. Create a simple and appealing website and Fantasy Sports mobile application for both iOS and Android platforms with a very user-friendly interface that also has trendy and informative widgets. Provide iOS and Android versions of the Fantasy Sports mobile application with the same features to maximize the user experience and allow a greater user to Token engagement within the platform. Offer a referral incentive for the Fantasy Sports mobile application players and create other incentives to make the platform fun. High-profile endorsements, partnerships and well-strategized marketing plans. New and creative ideas with fast implementations. Deep social media integration and anonymous registration sign ups. Humbyl is currently working on development of the mobile and web platforms and beginning its PR push on various social media and traditional outlets. Company Ownership/Legal Entity Humbyl Inc. is a corporation based in Singapore and its Fantasy Sports mobile application company is operated by a wholly-owned c-corp based in the State of Nevada. Humbyl is operating from two combined offices to serve as the headquarters for daily operations in Los Angeles and San Francisco, California. These offices will accommodate the staff during business hours and allow Humbyl to engage in business activity. After the successful Beta Test and pre-sale, Humbyl will find a permanent location to serve as the headquarters in Los Angeles. In addition, Humbyl’s Fantasy Sports subsidiary plans to lease a commercial office with a conference room and an office front to conduct internal and client meetings. Humbyl operates from 9:00 AM to 8:00 PM, Monday through Saturday. Service Humbyl offers HBL holders a Fantasy Sports mobile and web application where they can compete with fellow HBL holders and celebrities/athletes. While the Fantasy Sports mobile application is free to download, Humbyl’s network will have per-contest service fees for processing its numerous contests on the mobile application. While HBL will be converted to Credits for use in games, there is no fee for this conversation. Humbyl offers a website and mobile application platform that allows Fantasy Sports players to compete and communicate with each other. Humbyl processes all contests on the Fantasy Sports mobile application with a fee of 5% of each dedicated contest pot. Humbyl processes all contests with celebrities and athletes on the Fantasy Sports mobile application with a fee of 8% of each contest pot. The website and mobile application offer various widgets such as profile photos, private messaging to fellow fantasy sports players, selections history and a stash for the players’ credits. Created a solution to improve the experience of playing fantasy sports, called Humbyl. Initial Humbyl Coin Ethereum smart contracts were built for POC purpose. PRE-ICO started to offer Humbyl coin privately. ICO TGE started to offer Humbyl coin publicly. Soft launch of Humbyl Fantasy Sports mobile app beta version. Public hard launch of Humbyl Fantasy Sports mobile app. Soft launch of Humbyl Fantasy Sports decentralized app (DApp) beta version. Humbyl Coin (HBL) is available in exchange markets. Public hard launch of Humbyl Fantasy Sports DApp.